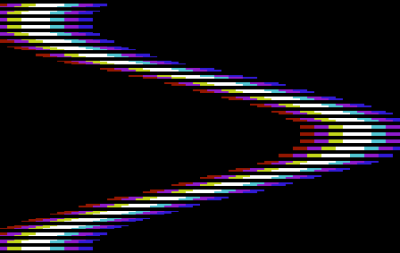 Fulls overscan/all border/whatever you want to call it colorful-sine-snake-effect in 128 bytes for unexpanded VIC20. Also have some patience with the BASIC sine-calculator in the beginning, it takes a couple of seconds. Hell yeah! Shadow does it once again. Very nice, should have ranked higher. Nice combination of Basic and Assembler! Cool effect for the Vic20! page created in 0.018234 seconds with 15 queries.